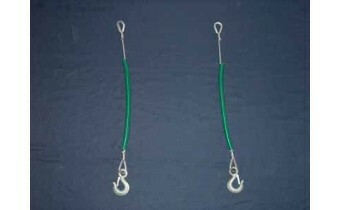 (1) PAIR: 1/4 inch Spreader Bar Drops, Galvanized. Comes with drops, rubber protective sleeves & hoo..
1/4 inch Spreader Bar Drops, Stainless Steel. 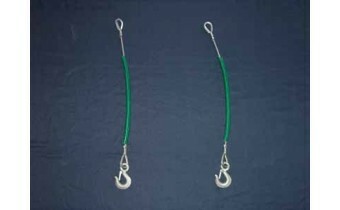 (1) PAIR:1/4 inch Spreader Bar Drops, Stainless Steel. Comes with drops, rubber protective sleeves &..
2 foot Galvanized Spreader Bar. 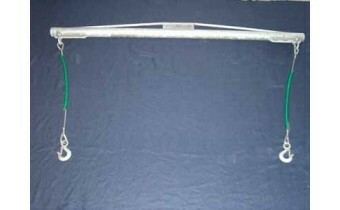 Comes with spreader bar, drops, shackles, hooks & protective rubber ..
3 foor Galvanized Spreader Bar. 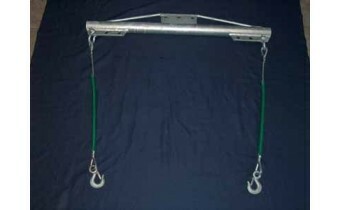 Comes with spreader bar, drops, shackles, hooks & protective rubber ..
3' Balance Bar with Stainless Steel Cables. 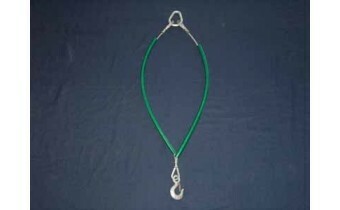 This item is perfect for small boats being lifted with a..
4 foot Galvanized Spreader Bar. 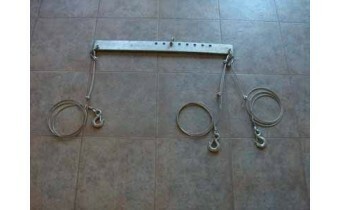 Comes with spreader bar, drops, shackles, hooks & protective rubber ..
5 foot Galvanized Spreader Bar. Comes with spreader bar, drops, shackles, hooks & protective rubber ..
(1) PAIR: 5/16 inch Heavy Duty Spreader Bar Drops, Galvanized. Comes with drops, rubber protective .. 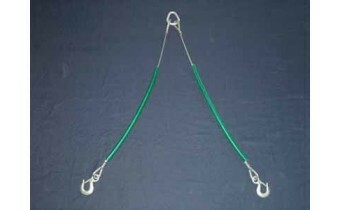 PAIR: 5/16 inch Heavy Duty Spreader Bar Drops, Stainless Steel. 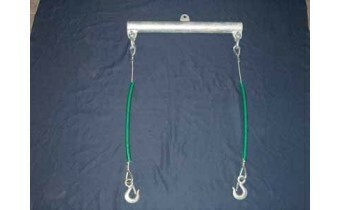 Comes with drops, rubber protective ..
6 foot Heavy Duty Galvanized Spreader Bar. 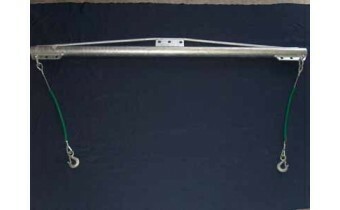 Comes with spreader bar, drops, shackles, hooks & protect..
7 foot Heavy Duty Galvanized Spreader Bar. Comes with spreader bar, drops, shackles, hooks & protect.. 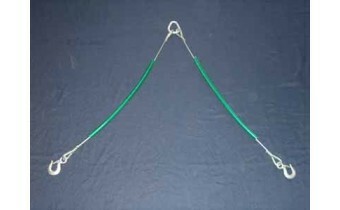 Bow Sling, Galvanized. Hooks onto your boats trailer eye ring. Comes with cables, protective rubber .. 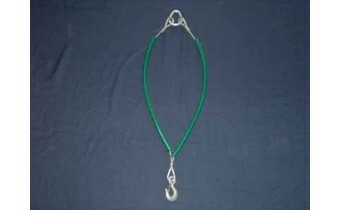 Bow Sling, Stainless Steel. Hooks onto your boat's trailer eye ring. 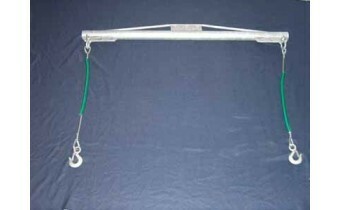 Comes with cables, protective r..
Stern Sling, Galvanized. 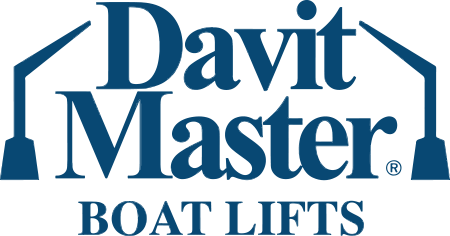 Hooks onto your boat's stern lifting eyes. Comes with cables, protective ru..
Stern Sling, Stainless Steel. 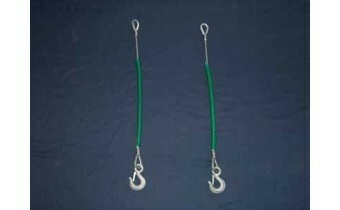 Hooks onto your boat's stern lifting eyes. Comes with cables, protecti..